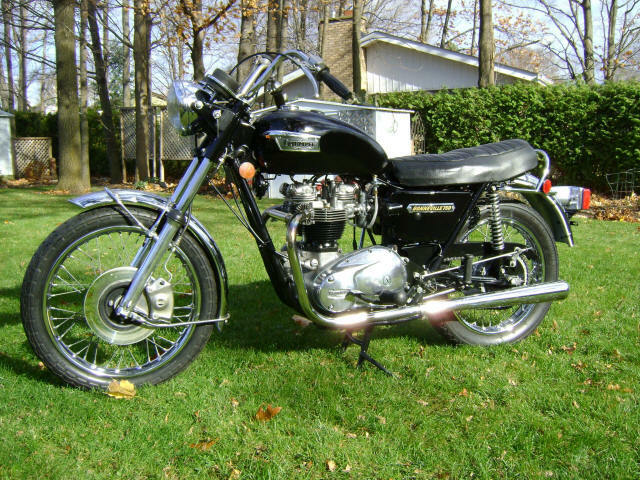 1973 Triumph Bonneville : Has earlier 650 engine installed. 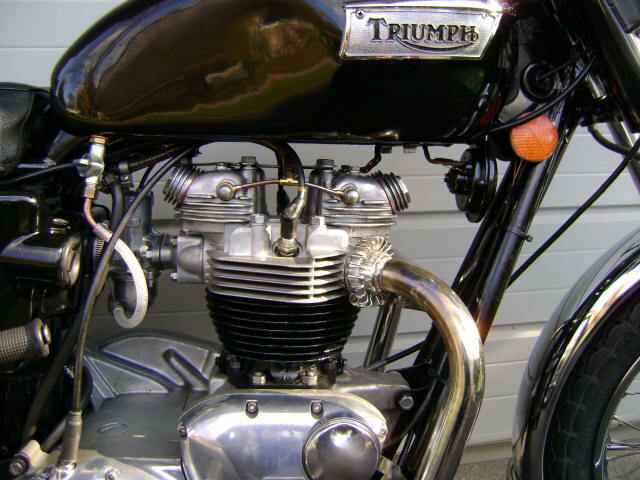 4-speed gearbox, single carb conversion. Frame up restoration just completed to original spec...this is not a chopper. Has only a couple of break in miles on it to seat the rings. Engine fully rebuilt. All new black paint, including frame. Chrome is excellent condition. Disc brake front end, drum rear. Starts easily, runs strong. All electrics work. 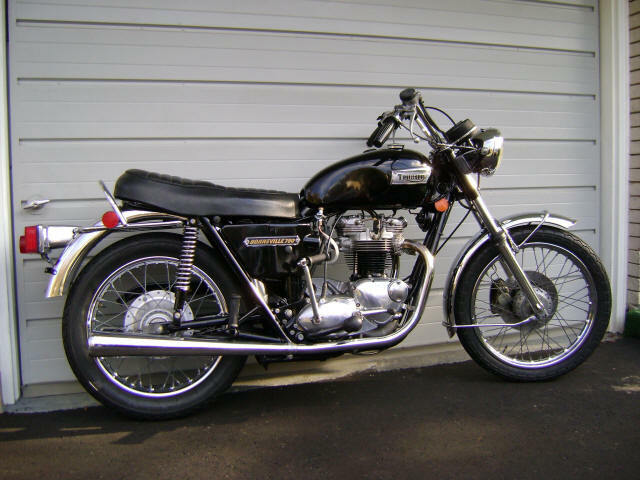 This bike is perfect for someone who wants a classic Triumph to ride. 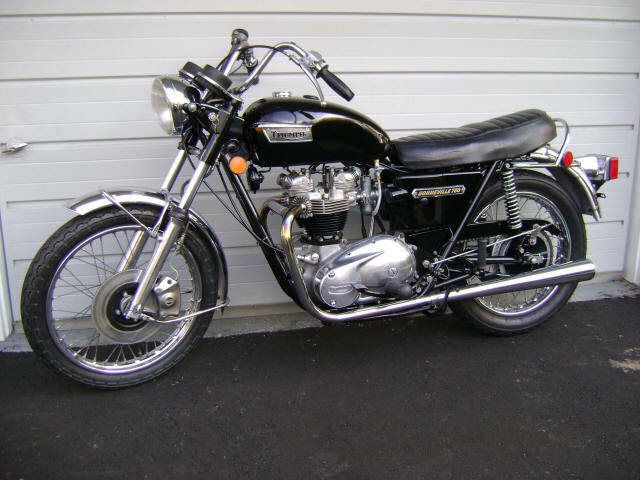 Gorgeous bike...no disappointments. End of season price: $4800 or B.O.